When you start thinking of all the different types of insurances there are. You may not think that Accidental Death is worth much. But just think about all the accidents that happen on South African roads. Over peak holiday periods, our roads are bad and road accidents are a leading cause of death in this country. Here we will have a look at insurance for accidents. An Accidental Death Policy can give you peace of mind that in the event of your death. Your dependants will get a sum of money. The kinds of accidental death covered are typically those caused by road accidents, murder, electrocution etc. Many people look at this kind of cover as it is cheaper than life insurance. As always, in deciding on the cover, you will need to look at your financial needs in the event of death. 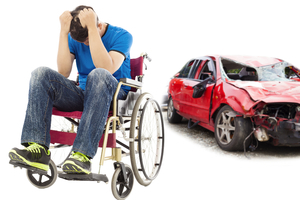 South Africa offers some excellent insurance companies who offer Accident Plans. Liberty is just one, and this plan will ensure that the lives of your dependents can continue pretty much as usual after there has been a calamity in your family. For just R110 a month, it will pay out a lump sum to your beneficiaries. Liberty pays out for death caused by an unexpected accident resulting in death or disability. And you get within 48 hours of receiving the correct documentation. Also, another couple of worthwhile aspects is that Liberty will pay you back 5 months worth of premiums every 5 years and you can also skip one payment a year when you’re experiencing financial difficulty. Zestlife also offers Accidental Life Cover for all South Africans residents between the ages of 18-60. They are a financial service provider, and their policies protect you and your family from the financial implications of death and injury. Their insurance policies will provide funding for the settling of debt and for your medical and daily living expenses. For instance for R208 a month you can expect a payout of R696 000, and for a payment each month of R642 a month you can receive a payout of R6 975 000.This is an accidental death and disability insurance cover. You score because it is also a tax-free amount. From just R76.50 a month, you can have cover for accidental death or permanent disability for up to R1 million. You won’t need to undergo medical tests and the payouts are tax-free. An Accidental Death Insurance Policy is something slightly different to regular life insurance. Accidental death insurance is a single policy. And like life insurance, it will pay out a death benefit to your beneficiaries. If you’ve got a job which is considered dangerous or if the sport you love is risky and dangerous. Then this kind of insurance is an excellent way to insure against an unexpected loss and for a small amount of money each month too. Coverage can also be added onto a standard life insurance policy in the form of a rider, and then your life insurance policy would pay extra in addition to your policy’s death benefit. Accidental death insurance may well be limited, but its affordable and can give loads of peace of mind. Fill in and Submit the form on this page to get a Free Life Insurance Quote.